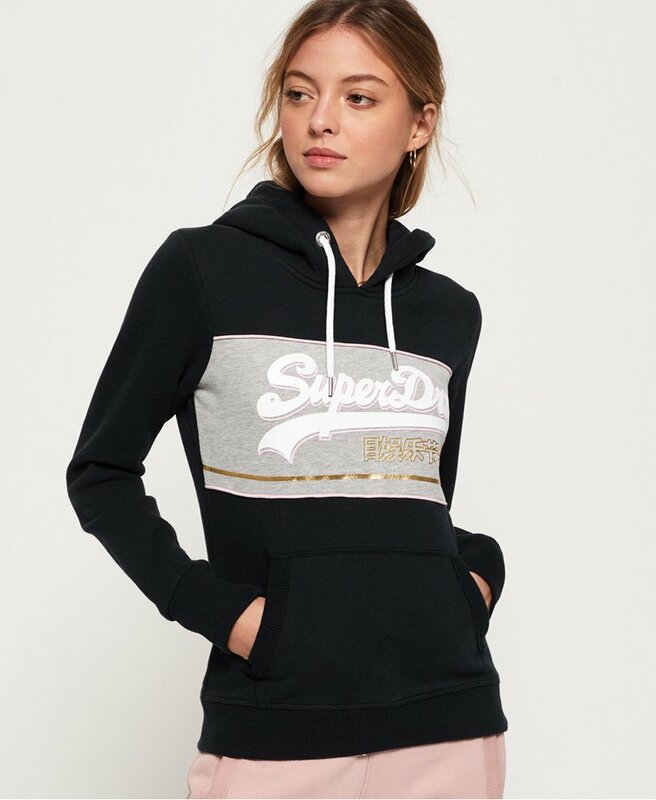 Superdry women's Vintage Logo colour block hoodie. This classic overhead hoodie features a drawstring hood, ribbed hem and cuffs and large front pocket. Completed with a textured logo graphic on the chest and subtle logo tab in the side seam, the Vintage Logo colour block hoodie has been crafted from super soft fabric to keep you feeling cosy and comfortable.